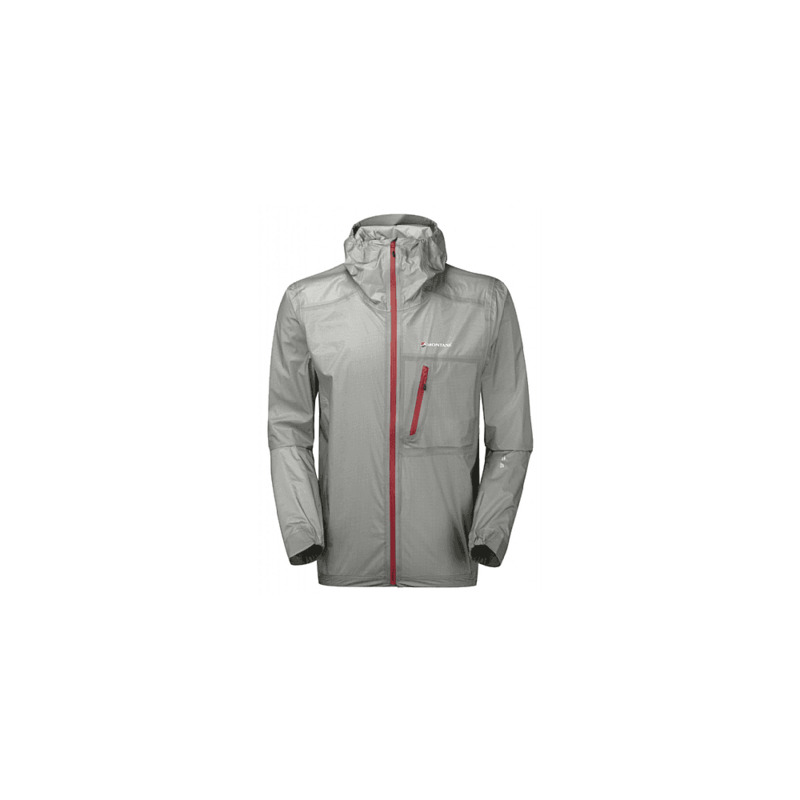 Montane Minimus 777 Jacket is an extremely lightweight waterproof jacket with a full zip for easy removal. This revolutionary jacket has a 3 layer waterproof alpine shell engineered for fast moving activities where weight saving is essential. The jacket weighs 140g and is so lightweight and compact that can be stored in its own pocket. Utilising an exclusive PERTEX® Shield+ laminate which combines a 7 denier nylon face, a 7 micron breathable membrane and a super light 7 denier tricot backer. Critically designed to save weight without compromising functionality. It has a pre-elasticated under-helmet hood, articulated arms and is perfect for the trail. An excellent lightweight waterproof jacket for your adventures!